Before the Alfa Romeo Giulia Quadrifoglio first debuted, it had already made headlines with a record-breaking Nurburgring lap time. The Giulia Quadrifoglio had broken the all-time production sedan lap record at the ‘Ring, a record it still holds. It was incredibly impressive then and still is so now. It seems, though, as the Italians aren’t content on leaving just their Giulia with a Nurburgring record. 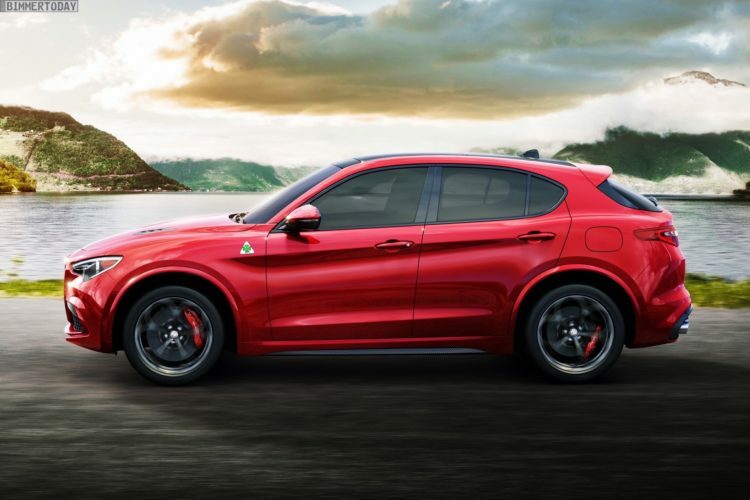 Now, it’s the turn of the Alfa Romeo Stelvio Quadrifoglio, the brand’s hot SUV. The Stelvio Quadrifoglio has just broken the all-time production SUV Nurburgring lap record, with a blistering time of 7:51.7. While a sub-eight minuted ‘Ring time isn’t all that impressive for a genuine sports car, it is for an SUV. The Stelvio is about the size and weight of the new BMW X3, so imagine a car of that size putting down genuine sports car times on the most difficult race track in the world. That’s fast. Under the hood of the Stelvio Quadrifoglio lies the same 2.9 liter twin-turbocharged V6 that powers the go-fast Giulia. So it makes 505 hp and 443 lb-ft of torque. All of that fury is sent through an eight-speed automatic to all four wheels. Alfa claims a 0-60 mph time of around 3.9 seconds. That’s about the same as the Giulia Quadrifoglio, which is probably about right. While the Giulia is lighter, the Stelvio has all-wheel drive traction to make the most of its power. So it’s no surprise that it’s quick, it’s surprising just how quick. There’s a video of the timed lap, of course, so as to prove the Stelvio really did it. 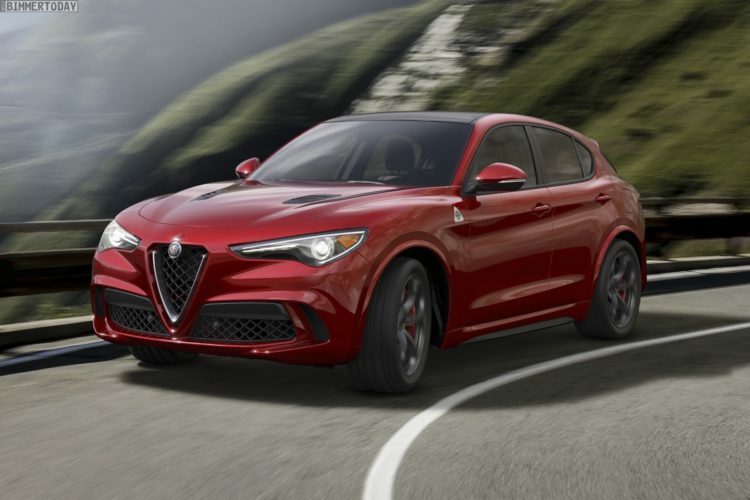 It’s impressive to see how well the Stelvio Quadrifoglio seems to handle. Turn-in is sharp and its chassis seems very agile. Admittedly, it is on the same chassis as the Giulia, so we know it’s good. Although, we don’t know what sort of tires and/or brakes this specific Stelvio had. We imagine that Alfa used a stock variant of the car but Italian companies have been known to lie a bit with tires and brakes (we’re looking at you, Ferrari and Pagani). Still, it’s an impressive lap time and makes the upcoming BMW X3 M a very important car for BMW.